Employment Law for Employers - Dworkin, Chambers, Williams, York, Benson & Evans, P.C. Complaints or lawsuits by employees have many ramifications. Beyond the financial exposure, such conflicts and allegations may trigger internal strife, adverse publicity or even government scrutiny. 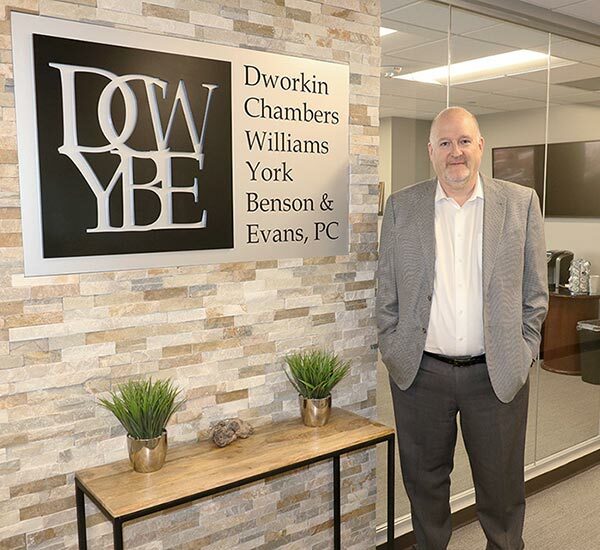 Dworkin, Chambers, Williams, York, Benson & Evans, P.C., provides comprehensive legal counsel to employers, from preventive measures to trial advocacy. Our Denver-based firm offers sophisticated and strategic defense representation to employers throughout Colorado, the Rocky Mountain states and nationwide. Our experienced trial lawyer has appeared before the Colorado Civil Rights Division as well as investigative agencies across the United States. We also provide consulting services to help clients prevent employee conflicts. Our employment law team is led by Gary Benson, a partner of the firm with 25 years of focused experience in employment law. He advocates for employers in litigation, arbitration and negotiation of claims. Our defense begins with thorough investigation and analysis of the merits of the complaint. We then proceed according to our clients' goals and concerns, ranging from a discreet resolution to zealous defense in administrative hearings and trial court proceedings. We defend clients who are sued under federal laws (Title VII, ADA, ADEA, FMLA) or corresponding state statutes. We assist clients in proactively complying with those laws to insulate against liability claims and to ensure a safe and respectful workplace for their employees. Arrange a consultation about any employment-related issue, no matter how urgent or complex.